While the PC race seems to be diminishing in terms of sales, factors like portability, performance and attractive features at lower price points continue to drive the laptop industry. In recent history, we have seen a surge in the number of affordable laptop options in a market that is witnessing cut-throat competition among numerous brands. To help ease your buying dilemma, let’s take a look at our pick of the top laptops in this affordable segment. This machine from ASUS impresses with its 15-inch full HD display. And if you’re the old school type, you will also love to take advantage of its optical drive. 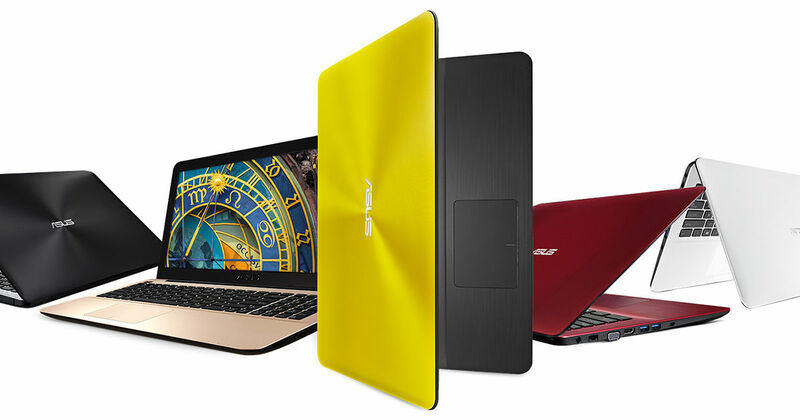 The laptop will provide you with up to six hours of battery backup moreover. It has been equipped with a seventh-gen Intel Core i3 CPU that has been paired with a 4GB worth of RAM. More importantly, there’s 1TB HDD onboard to satisfy all your storage needs. The device tips the scale at 2.76kgs. A truly attractive option under the Rs 30,000 mark is the HP 15Q-BU039TU. Its matte black exterior will indeed draw you towards it. And the internals are quite impressive as well. You get a seventh-gen Intel Core i3-7100U processor, 4GB of RAM and a 1TB hard drive. The display on this laptop is a 15.6-inch panel with a full HD resolution. An optical drive and all other essentials are also present on this one. The Aspire 3 is highlighted by an excellent keyboard that makes typing on it a breeze. It ditches the optical drive which, among other things, contributes to keeping its weight down to 2.2kgs. It’s also powered by a seventh-gen Core i3 CPU that’s paired with 4GB of RAM. Not surprisingly, there’s 1TB worth of storage to take care of all your space needs. The 15.6-inch display of this laptop showcases its visuals in a resolution of 1,366 x 768 pixels. The Dell Inspiron 14 3000 runs Ubuntu out of the box, but you can, of course, install Windows on it by purchasing a copy separately. This sleek and lightweight laptop ships with a 14-inch display with a resolution of 1,366 x 768 pixels. The built-in dual speakers on the machine are tuned by MaxxAudio. Dell has even blessed this laptop with an optical drive. It’s again no surprise that this rig is powered by a seventh-gen Core i3 CPU and 4GB of RAM. Its hard drive is 1TB in capacity. This Lenovo machine runs on the sixth-gen Core-i3 6006U processor, and offers 4GB worth of RAM at your disposal. And there’s 1TB of storage space to take advantage of. It benefits from a large 15.6-inch display that bears an HD resolution. Boasting a sleek unibody chassis, this laptop also makes sure that it’s durable by offering an extra flexible 180-degree hinge. The only downside of this device is that it does not come with Windows pre-installed. We do hope this list helps you out while making your next purchase for a laptop.